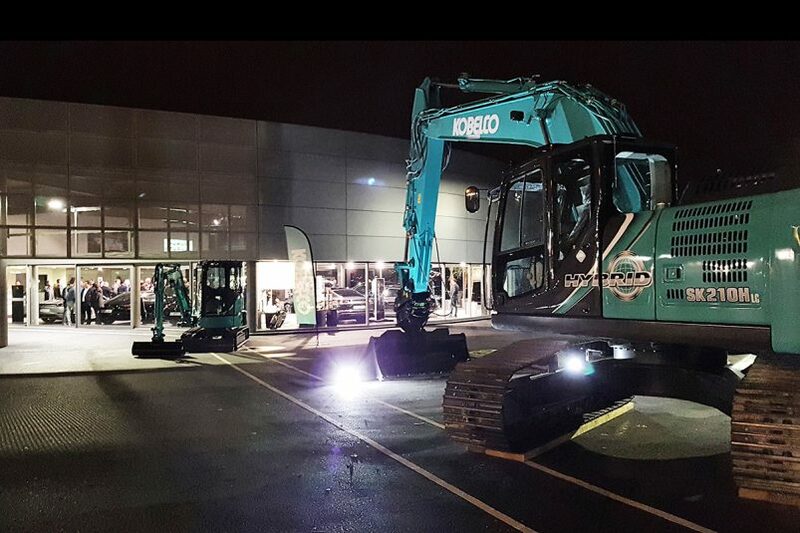 Kobelco and Porsche - hybrid presentation - Kobelco Construction Machinery Europe B.V.
On Thursday 23rd November a very unique event took place in Rennes France. 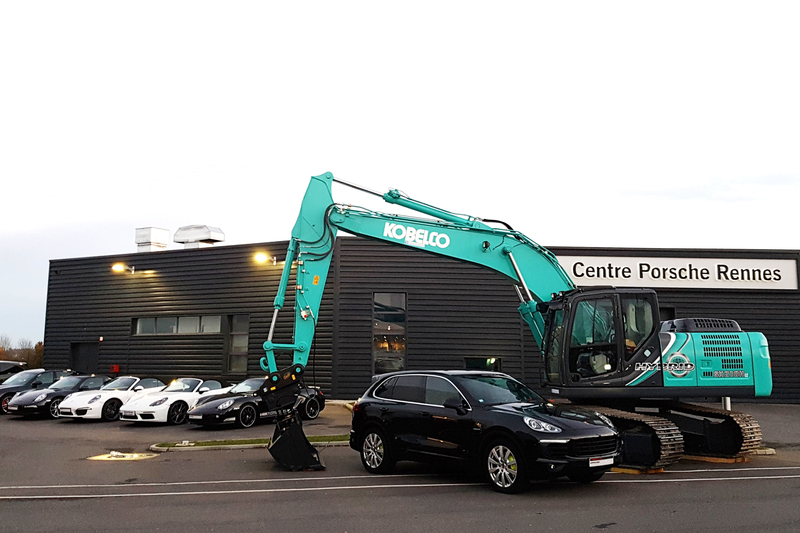 Joint forces of dealer of Kobelco Blanchard TP and Rennes Porsche Center hosted a presentation of its hybrid machines: Kobelco excavator SK210HLC-10 and Porsche Panamera Hybrid. The event was a gathering of enthusiasts and owners of machines from both brands, accompanied by Japanese food and networking opportunities. Guests could also appreciate the beauty and mechanics of other models including Macan, 911 Carrera, 718 Cayman and Boxter. But the highlight of the evening were the two hybrid machines, and while they look so much different, they are similar when it comes to the technical solution and performance. While many manufacturers of hybrid vehicles chose to reduce the size of the engine to include a hybrid assistance, Porsche and Kobelco have chosen to keep their original engine and additionally support it with electric motors coupled with a Lithium-ion battery. The result is more performance and fuel efficiency, all in an environment-friendly machine. On Kobelco side, the SK210HLC-10 is equipped with the standard engine of 169 horsepower, plus 2 electric motors of 34 and 35 horsepower. On Porsche side, the Panamera hybrid is equipped with the 6 or 8 cylinders engine, plus 136 electric horsepower, to reach a total power of 462 or 680 horsepower. Blanchard TP delivered the first hybrid machine to the French market in May. Ever since it proved to be a huge success and the SK210HLC-10 received very positive owner reviews. The first joint event hosted by Kobelco dealer Blanchard TP and Rennes Porsche Center was a huge success, a proof that the market trend is moving towards new green technology.